Hydrocodone is a very potent opioid pain reliever, which is widely available as a prescription drug in the US. It can likewise be classified as a narcotic. The street value of hydrocodone makes it a serious potential for addiction or abuse. The other issue is that hydrocodone stays in the system for a relatively long time, and even the small doses of this opioid are detectable in blood, urine, and saliva. Others don’t realize that drinking Hydrocodone lean can also take its toll on the body. How Long Can Hydrocodone Stay in the Body? Which Tests Can Help Detect Hydrocodone in the Body? How Long Does Hydrocodone Stay in the Urine? How Long Will Hydrocodone Be Present in the Blood? How Long Can You Use Hair for the Detection of Hydrocodone? How Long Can Hydrocodone Stay in the Saliva? Which Factors Affect How Long Hydrocodone Stays in the Body? What are the Ways to Eliminate Hydrocodone Faster? Hydrocodone half-life is approximately 3.3-4.1 hours. It is well absorbed in the gastrointestinal tract. If one needs to be clear from this medication, they will have to wait for at least 18-24 hours. There are Hydrocodone metabolites that last longer in the system though and one of which is norhydrocodone. It has an average half-life of 8 hours and may take at least 48 hours to be eliminated from the system. Can A Standard 5-panel Test Help Detect Hydrocodone in the System? Although Hydrocodone is a narcotic, a lot of users claim that a standard 5-panel drug test isn’t effective because this medicine does not break down to morphine. Hydrocodone is detectable in urine, blood, hair, saliva, or urine tested. The latter is considered to be the most common technique. There could be several reasons you might to know more about a Hydrocodone drug test. People usually have to complete a drug test for work while others need it for an insurance policy. All substances have their own specific window of detection time, but it will also depend on how the test is done. How Long Does Hydrocodone Stay in Your Urine? Hydrocodone in urine can be tested easily. When performing a Hydrocodone urine test, a sample will be collected in a clean container and will be tested in the laboratory. However, Hydrocodone urine test detection times are only within 2-4 days after intake. How Long Does Hydrocodone Stay in Your Blood? 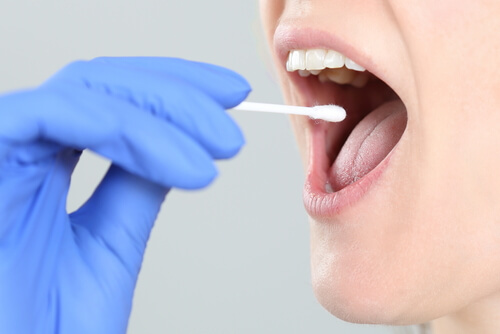 A blood sample can be obtained to test its levels. The drug will reach its peak levels in the plasma, a blood component, within 1.3 hours. Blood tests can detect this medicine by up to 24 hours after intake. Similar to other medications, this medication can be detected in the hair follicle drug test for as long as 90 days or approximately three months. How Long Does Hydrocodone Stay in Saliva? The human body has a unique system with billions of interconnected particles. This drug can be seen in one’s saliva within 12-36 hours. Depending on the user’s age, some organ system and other body functions may work better than others. The rate of metabolism also changes over time. Normally, younger individuals have faster Hydrocodone metabolisms and can eliminate other toxins easier from their system as well. Prescribed dosages may vary depending on one’s height, weight, and fat composition. A person taking more than what is prescribed will take longer to get rid of Hydrocodone from the system. Genes also play a huge role in how the system processes, reacts and metabolizes drugs. This drug, along with other opioids, is metabolized through 2 important enzyme systems – CYP450 and UDP-glucuronosyltransferases (UGTs). It is important to know that there can be genetic variations in people. Not all have the same quality and quantity of coenzymes these can greatly affect how a person metabolizes a drug. These two organs, the kidneys, and the liver are very important for processing and eliminating different kinds of substances from the system. Having a well-functioning kidney and liver can be considered as the safest and the fastest way to get hydrocodone out of your system. Having damage or issues in either organ, the elimination process will be greatly affected and will be prolonged. 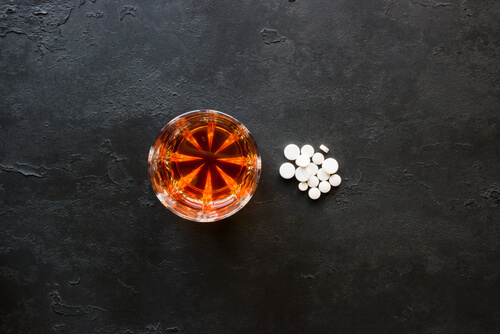 Someone who has been taking too much Hydrocodone for months or years is understandably going to take longer to remove it from his or her system as compared to an individual who has only taken a few doses. Frequent users of a specific drug can develop pharmacodynamic tolerance. This means that the usual concentration being used by normal people would yield less effect to a repeated user. Therefore, one will take more dosages, hence making it more difficult to flush them all out from the system. Hydrocodone and alcohol, when taken in combination have a synergistic effect. The effects are expected to increase. It will, therefore, take longer for it to be cleared from your system. This may likewise cause severe side effects of hydrocodone, which can at times be fatal. Another factor that can affect the time it takes for a drug to be released from the system is the use of combinations like hydrocodone apap. The use of tramadol and hydrocodone together does not only prolong their presence in the system but likewise cause a heightened effect. The white oval pill hydrocodone is well absorbed in the system through the gastrointestinal tract. It undergoes hepatic metabolism and will be broken down into other substances known as metabolites. To be more exact, the CYP450 isoenzymes play an important role in this process. After O-demethylation, this medication splits into hydromorphone. Just to compare, the other main metabolite – norhydrocodone – is a product of oxidation (N-demethylation). The half-life of hydromorphone just around 2.3 hours. Females have increased levels of norhydrocodone while males have greater amounts of hydromorphone in the system. How to Get Hydrocodone Out of Your System Faster? There are several ways to speed up the removal of this medication from the system. It has to start by cutting off the source. Stop taking medicine. Next is to drink lots of water. An effective way to flush out the body is to take fluids regularly. Aside from water, fruit juices and herbal teas can also help remove toxins. Losing excess fat can help because it the fat cells serve as storage for toxins and drugs like Hydrocodone pills. Exercise can help burn fats, remove toxins and improve the normal functioning of the different organ system. These are just some natural ways on how you can speed up the removal of drugs and toxins in your system; however, detox programs remain to be the most effective treatments for drug abusers. If you or your loved one wants to know how to wean off Hydrocodone and receive more information about this drug, you may call our 24-hour hotline at (888)-459-5511 now to speak with a knowledgeable representative.